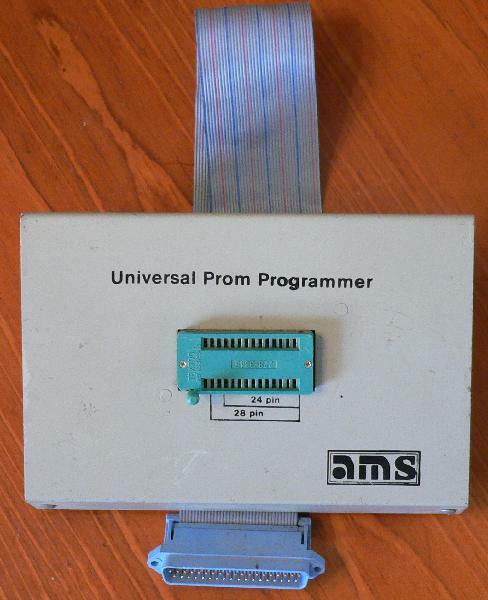 The AMS Universal PROM Programmer is an 8-bit ISA adapter with an external ZIF socket. 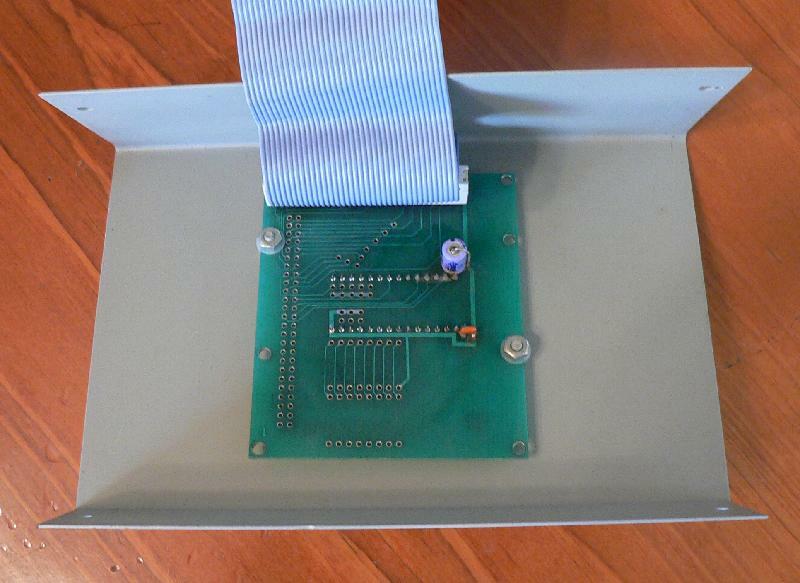 AMS is Advanced Microcomputer Systems in Florida. This was one of their first products. I can't even remember who I got this from. Probably one of the Cape Computer Club guys. Hope he gave it to me because if I borrowed it he's probably rather upset by now. 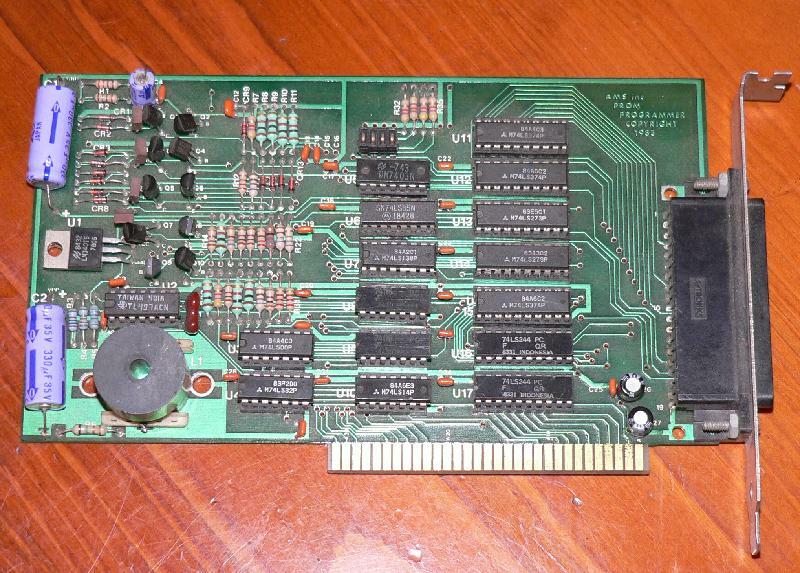 Another binary programs the 8748H, 8741/48 and 8742/49H microcontrollers.